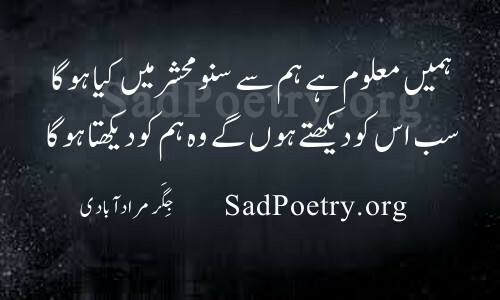 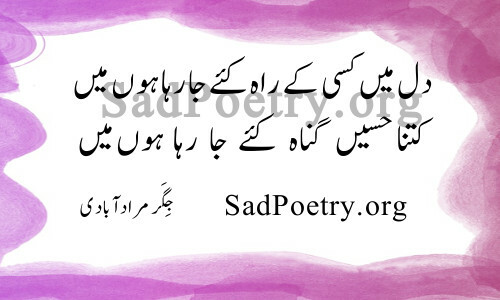 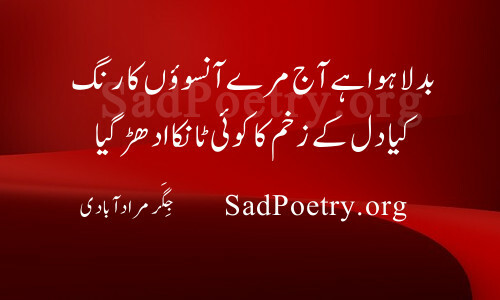 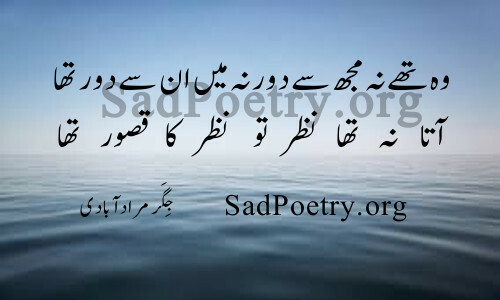 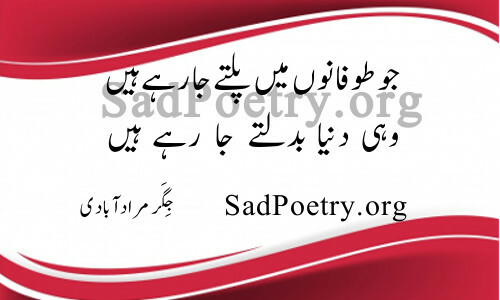 Read our collection of Jigar Moradabadi Poetry and ghazlas. 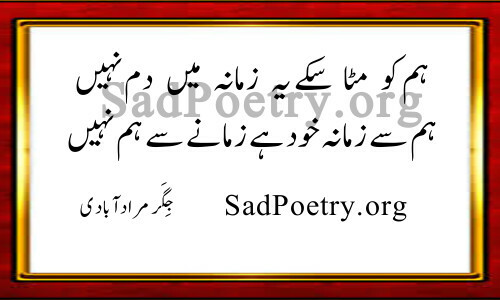 Read, submit and share our great collection of shayari. 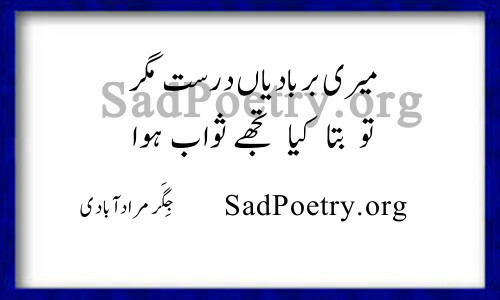 We regularly update our poetry collection. 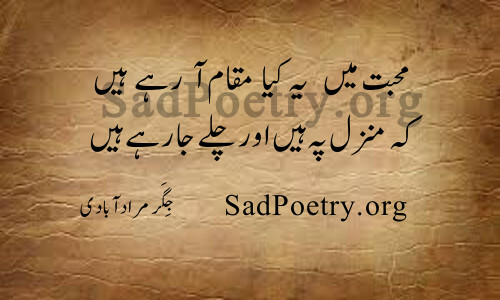 Jigar Moradabadi was one of the greatest ghazal writers of the 20th century.